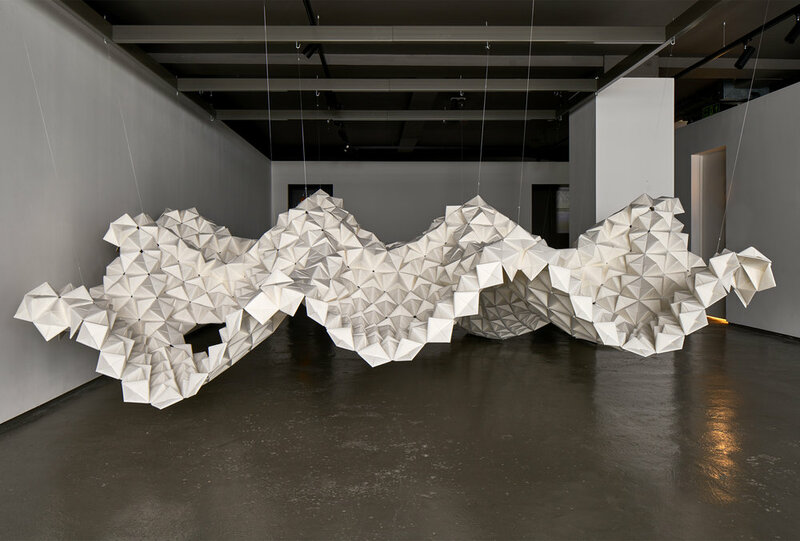 Beyond Surface is a gravity-defying origami installation designed by harnessing the strength and beauty of G. F Smith's paper, Takeo Tela. To understand the strength of Takeo Tela, the design team initiated a series of tests that led to the development of three discrete joinery methods and a Sonobe origami structure made from 5,500 interlocking papers suspended from 16 vertical supports. Radiating outward from each vertical support, the three joinery methods interweave into one another to form a series of catenary-like surfaces with a 3.5m x 3.5m unencumbered, light filled space below. Within this space, the public experiences the sensual qualities of Takeo Tela, as lights from above transmit through its various layers and reveal an assortment of colors and shadows. 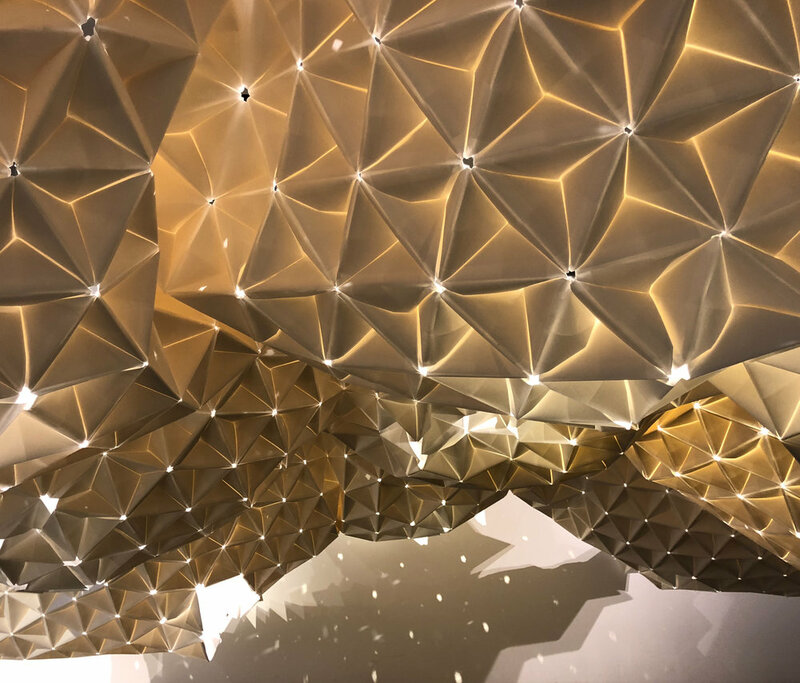 Tensile, dynamic, anisotropic and translucent, this installation redefines the way we experience and understand G. F Smith's Takeo Tela paper.